Raj Ballav Koirala Films in association with IDEAS and IMAGES and Planet3Films presents RAGHAV a new nepali movie scheduled to release on March 2014. Raghav is a romantic love story which portrays long distance relationships, break ups and new relations. The main character Raghav in the movie seems to carry on with new relationship to forget his past tragedies. 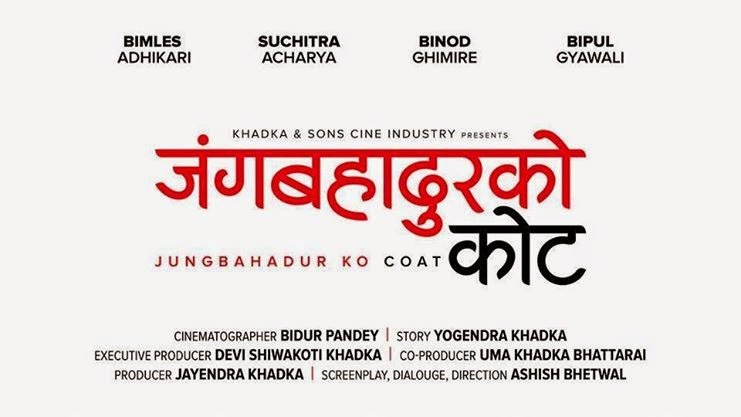 Looking at the trailer of this movie we can expect that this movie can be the next blockbuster movie in Nepali Cinema history. The movie songs like "Timro Tyo Boli le" by Sanjeev Singh and "Komal Timi" by "The Maya Band" are very soothing and touching. Watch Full Nepali Movie Raghav on youtube. Deepak Raj Giri and Deepa Shreee Niraula: From "Teeto Satya" tele serial of Nepal Television. Shivahari Paudel and Jitu Nepal (Alias: Mundre): From "Jeere Khursani" tele serial of Nepal Television. Shivahari paudel is the one who keeps on saying "Mukha Hannu Jasto" in the comedy serial. Kedar Ghimire (Magne Buda) and Sitaram Kattel (Dhurmuse): From the tele serial "Meri Bassai" of Nepal television. Sandip Chhetri - The host of "What The Flop" satirical comedy program of kantipur television. This movie will be a khichadi (mixture) of all the comedians at one place and is aimed to entertain the viewers will full on humor. Although the movie characters are all from the nepali television serials, hope this movie will be experienced as a movie rather than a tele serial. Cast: Sandeep Chettri (VJ), Neeta Dhungana, Deepak Raj Giri, Shivahari Paudel, Jitu Nepal, kedar Ghimire, Sitaram Kattel. Production: Aama Saraswati Geeta Devi Films Pvt. Ltd.